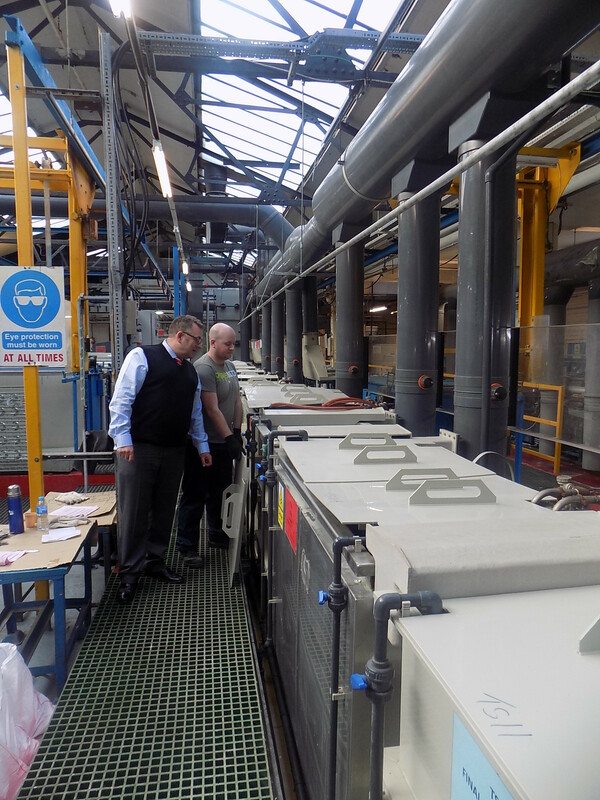 We at Ashton Moore Ltd. are proud to announce that following a comprehensive audit by Airbus Toulouse we are now fully approved to use our new Tartaric Sulphuric Acid Anodising facility. This Airbus certification was the culmination of nearly 12 months work to install, commission and achieve full approval of this new facility to complement the new breed of finishes we offer to combat the effects of REACH and other European/environmental legislation. Following on from the audit we are now fully approved to undertake not only Tartaric Sulphuric Acid Anodising to Airbus specification AIPI 02-01-003, either unsealed, chromic acid sealed, or hot water sealed, but also subsequent painting. Judging by the response from our customers we are confident it will not take long for us to achieve recovery of the financial and technical input we have lavished on this project.